Do you know what the Wingardium Leviosa is? Of course, you do - you're a Harry Potter fan! Be the first young witch or wizard on your block to learn your charms with this amazing Harry Potter Wingardium Leviosa Kit. Using the wand, command the feather to rise and hover before your very eyes. Your friends will be astounded! 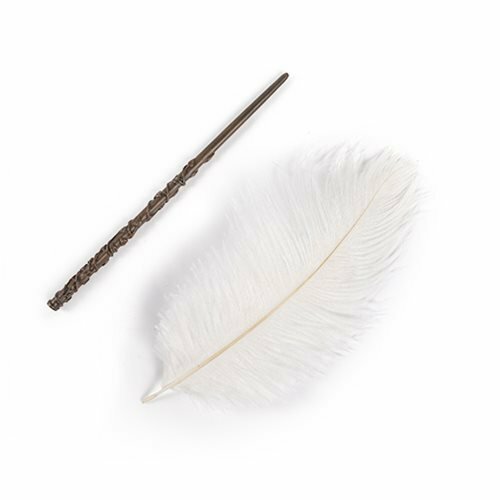 This fantastic set includes Hermione's wand, a white feather, 8 patented flying activators, and instructions. 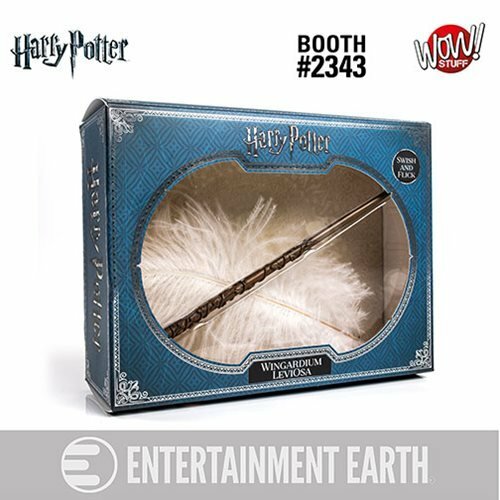 First available at SDCC 2018!